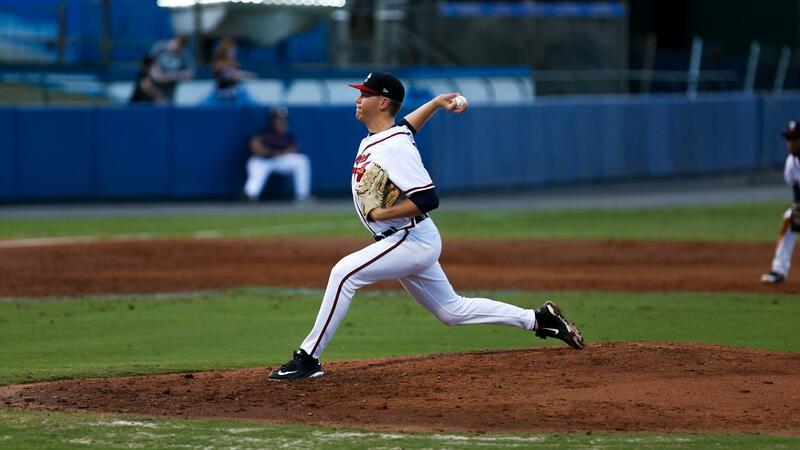 Rome, GA - The Rome Braves defeated the West Virginia Power Thursday night at State Mutual Stadium 3-2 before a crowd of 1,643. West Virginia got on the scoreboard first with a run in the second inning thanks to Robbie Glendinning's RBI single. Hagen Owenby's run scoring single tied the contest 1-1 in the fourth and Rome took a 2-1 lead in the sixth on Trey Harris' RBI single. The Power made it a 2-2 game in the eighth when a run scored on a double play hit into by Calvin Mitchell. With the game tied heading into the bottom of the ninth, Marcos Almonte reached first on an error by Power second baseman Rodolfo Castro and made it to second when the ball bounced off his glove into center field. Almonte then moved to third on Derian Cruz's ground out. Shean Michel then lifted a fly ball to left allowing Almonte to just beat the throw home giving Rome the 3-2 win. Tonight's walk-off win is the second one in a row over West Virginia with the last one on August 13th. Hayden Deal (8-1) gets the win in relief and Beau Sulser (5-8) is given the loss.